It is back to the future time again. This time for messaging apps. It seems that tech giants are finally adopting the ideas from 90's. The "killer" features that include bots that react to the messages were a part of Jabber messaging system right from the beginning. This results, of course, when a system is built by the users, not by marketing department. Here is a brief article on how to set up an automatic deployment of SSRS reports. The automation tool of choice is OctopusDeploy. This will be used to fetch and deploy the reports to different environments. Instead of writing from scratch, there is an Open Source project with a set of scripts that can be used for this purpose. The original project is here, and it can be used for feedback and documentation, while I have a working clone available here. While trying to run the scripts, I've run into numerous issues. The scripts require credentials. An article describing how to supply credentials is available here. The reports projects must have the DataSet directory set up as the property in the project file. Error "Property 'IntegratedSecurity' cannot be found on this object." is a result of not having authentication set up in a data source (.rds) file. Deploying multiple projects is possible by using ForEach construct in powershell and calling the script passing the project names. Even better, after finding this, I have created a script that reads a solution file and extracts the report project file paths from it and feeds it to the deployment script. The deployment script expects the reports to be available in the same folder or subfolders. To get this, we need to pack the reports into a NuGet package first and then unpack just before the actual deployment. The NuGet package can be created during the build process on the build server. This can happen during a build of another project, which then gets pushed to Octopus using OctoPack. The solution I'm in favour of is adding a Powershell script at the end of the build process in TFS. The script extracts the build number from the TFS Build name ($env:TF_BUILD_BUILDNUMBER) and packs all the report files into the appropriate NuGet package. To pack the report files (*.rdl), use the src="..\Reports\**\*.rdl" specifier. More info available in Nuspec Reference. Another thing that has to be included are the *.ps1 scripts for deployment. Unfortunately, it is not possible to use OctoPack to package the Reports project for this purpose. The scripts above are all the scripts from the SSRS Powershell Deploy project. In order for them to work, we have to pack the solution (*.sln) and project (*.rtpproj) files, which contain all the settings for the deployment of the .rdl files. Once done, this package is pushed to the Octopus NuGet repository. Once the package has been pushed to Octopus repository, it is time to set up the actual deployment process. According to Octopus documentation, custom scripts can be executed during the deployment. It should be enough to create a Deploy.ps1 powershell script and it will be executed by Octopus. For this, you also need to enable Custom Scripts in the deployment process. The Reports deployment requires credentials for authentication with a SSRS server. Therefore, the deployment script must have access to these somehow. Unfortunately, Powershell has no access to the credentials of the current user which means that these credentials have to be passed as parameters. More info : Get Credentials without promptAt least, the password can be encrypted so it is not stored in clear text. Be aware that there are only three ways to pass credentials in Powershell. The simplest solution I found is to provide the variables through Octopus. It allows storage of Sensitive Variables in the deployment setup and these variables can be automatically substituted or used directly in the scripts. Go to Text Correction settings and enable reading Contact Names. "Robots Can't Replace IT Workers, Doctors, Dentists, Haldane Says"
Having installed really early versions of Visual Studio, and then replacing them with newer ones have resulted in duplicate "Open with Code" context menu items on Windows 10 desktop. While not critical, this is a bit annoying. Especially when one of the context menus does not work anymore. Here's a simple comparison of the connection speeds between Wi-Fi AP vs USB tethering, using the same Android phone providing the Internet access and a Windows PC as the client. 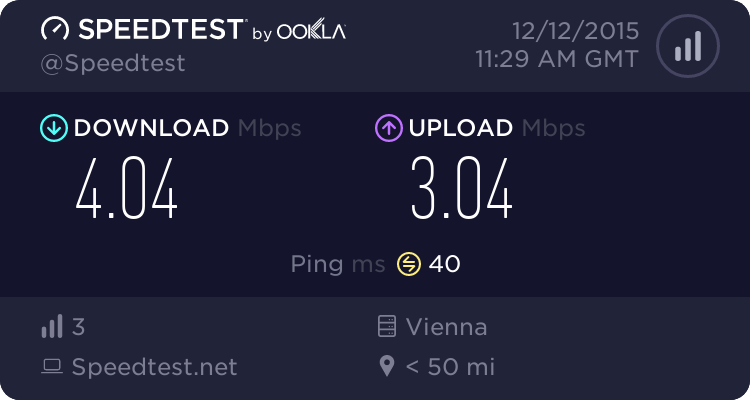 Honestly, I would assume the cable connection would have been faster but one never knows. One thing that is missing in Visual Studio (one of those things you try elsewhere and then you miss them forever when you change editors) is the autosave when focus is moved away from the code editor. Most editors have implemented this behaviour as the default and it is becoming an annoyance to have to continually keep pressing Ctrl+Shift+S to save any touched files. Nowadays, we are all using source control to inspect and verify changes made and to commit the changes to a timeline in a code repository. Therefore, not applying autosave is rudimentary, especially when there are per-file undos. Let's Encrypt intitiative has entered public beta. Let's Encrypt issues free SSL certificates for HTTP traffic (making it HTTPS) for web sites. It seems that Samsung Galaxy S3 (I9300) may see an official CyanogenMod build, after all. Below is a repository with Android M (6, API 23) for the device. Firefox just implemented Push technology for web pages that are not (even) loaded in the browser. Here are the steps and the links for installing the Android 6 on Nexus 7 WiFi 2013. Bootloader keys: volume down (press and hold), then power (press and hold). The recommended app is Twilight (link). Here is a good overview of the structures that can be used to store a graph / tree model in a flat / relational database. I'm opening a new blog only for IT issues and software development topics. So far I've used my main blog for these topics but it does not seem appropriate any more. A small shift in topics will happen now to align the themes with the blog names.